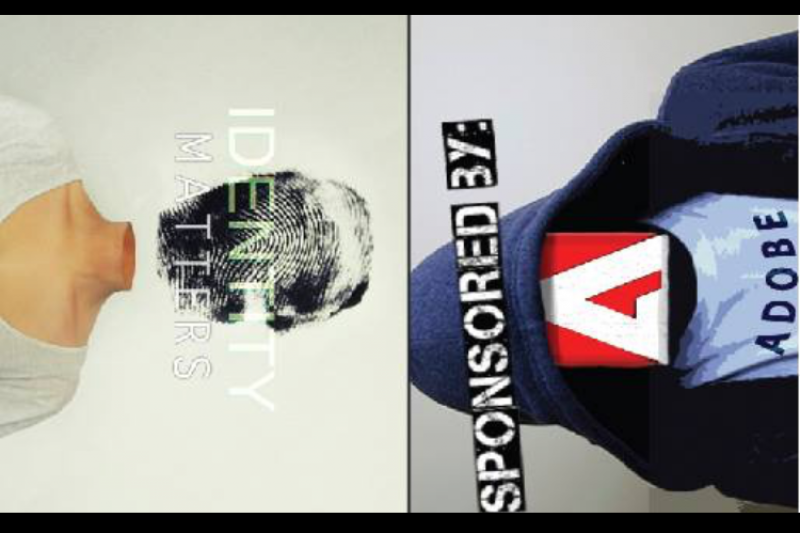 The University of Illinois Springfield proudly presents dual student exhibitions Sponsored by Adobe and Identity Matter. Both exhibits feature artwork by the graduating seniors of the Visual Arts Department. Sponsored by Adobe will exhibit a variety of works that make use of digital media for creative and commercial purposes, while Identity Matters emphasizes fine art media and personal expression. Both exhibits run from April 27 through May 14 and a reception will take place in both venues on Thursday, May 7 from 5:30 to 8 p.m. Sponsored by Adobe will be exhibited in the Access Gallery, housed in the lobby of the Visual and Performing Arts building. It features the work of five student artists who have produced works rooted in graphic design, photography, and digital media. Robert Brooks composes designs to suit clientele needs while incorporating his personal creative interests. Katie Good composes imagery and design focused on creating a personal experience through her published catalog. Alexander Johnson illustrates and authors a children’s animated storybook. Nick Manker illustrates a science fiction comic based on his trials and tribulations through his college experience. Phil Mulford designs and produces a fictional music festival to represent his interests as a commercial artist. Identity Matters will be exhibited in the UIS Visual Arts Gallery, located in the Health and Sciences building. It presents five additional artists that rely on a variety of fine art media as an outlet for personal expression. Oliver Barth compiles video collages evoking the effects of media on society and of time on context. Taylor Geary explores the social issues of animal abuse through the use of sculpture. Mariam Said defies the stereotypes of the Hijab, or Muslim headscarf, through the use of sculpture. Porcia Sledge utilizes photography to capture a parallel between the innocence of childhood and responsibility of adulthood. Jessica Wilson illustrates cartoon-like imagery to portray prejudices of the homosexual community. The Visual Arts Gallery is centrally located on the UIS campus in the Health and Science Building, Room 201. Gallery hours are Monday through Thursday 11 a.m. to 6 p.m. The Access Gallery is located in the Visual and Performing Arts Building. Gallery hours are 10 a.m. to 6 p.m. Monday through Friday. For more information, visit the UIS Visual Arts Gallery website at www.uis.edu/visualarts/gallery or contact the gallery at 217/206-6506 or alach@uis.edu.